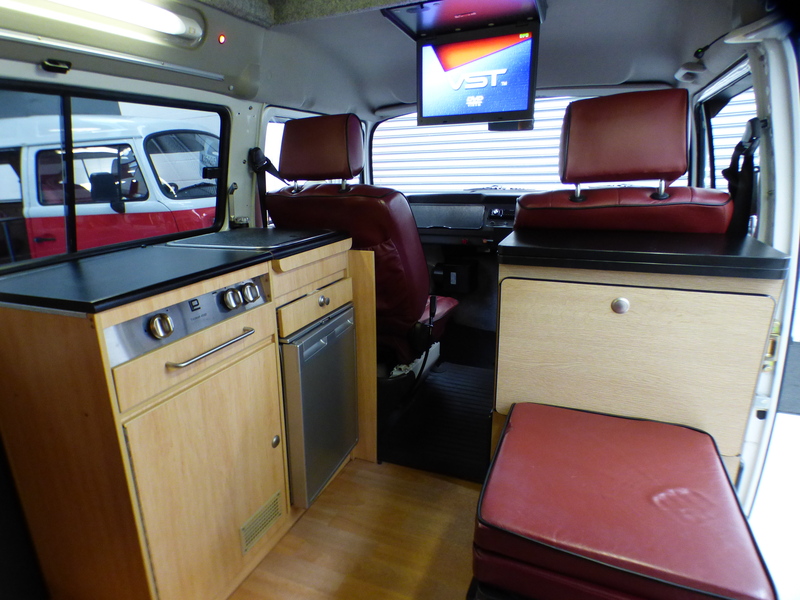 Here’s a distinguished example of a Danbury Diamond SE that boasts a comprehensive list of the available options. 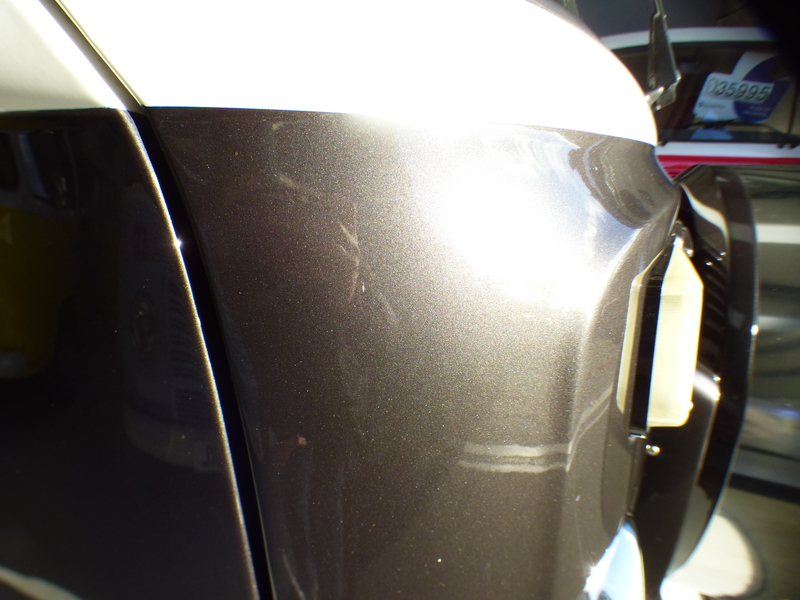 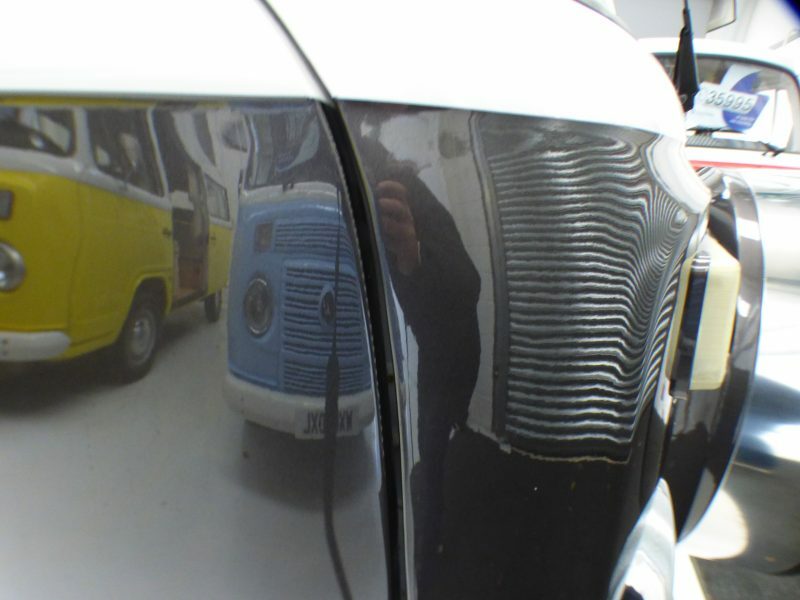 With the best storage features available on a Diamond model, this metallic grey under white Kombi now represents great value for money. 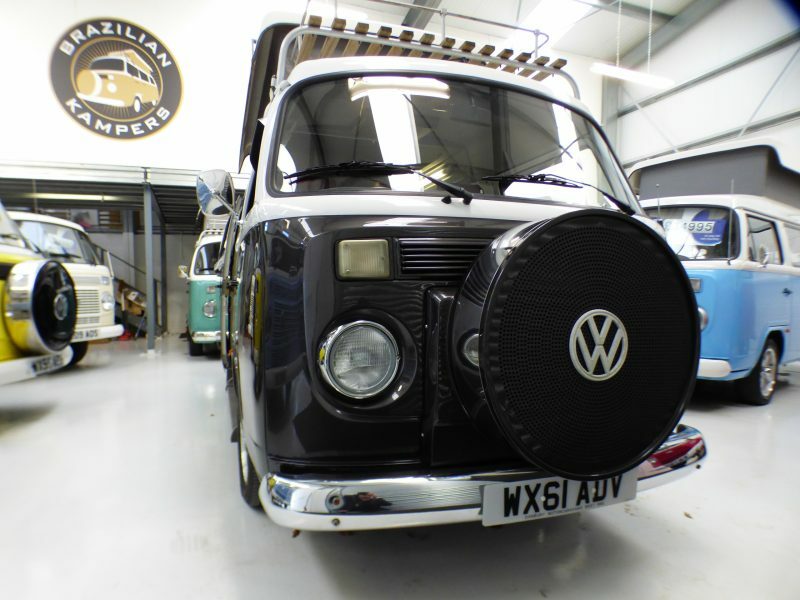 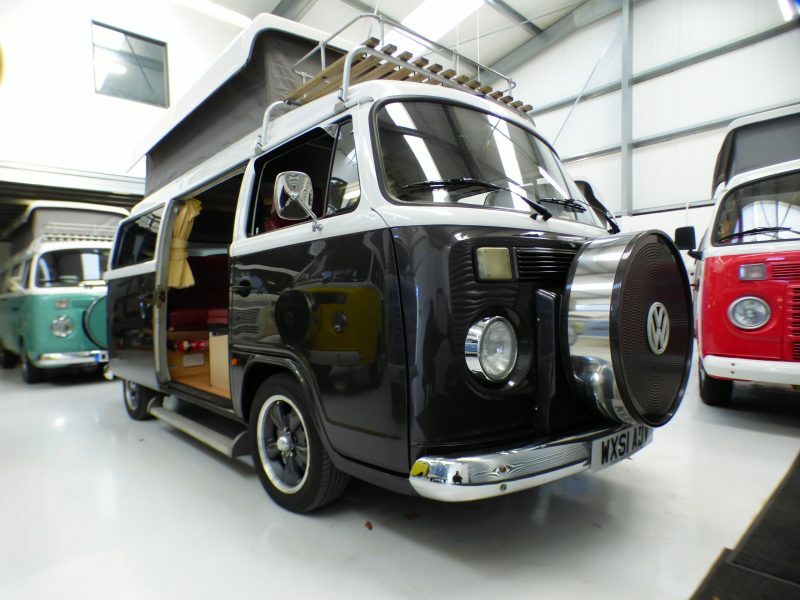 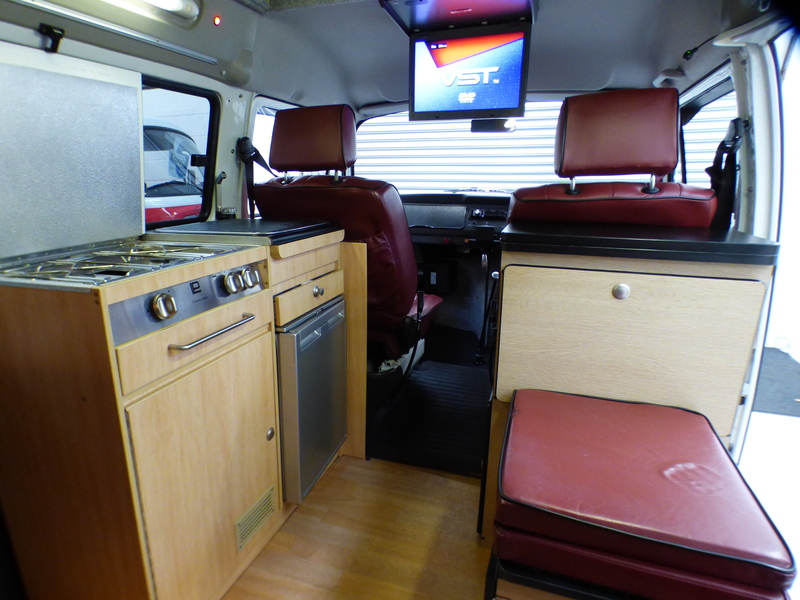 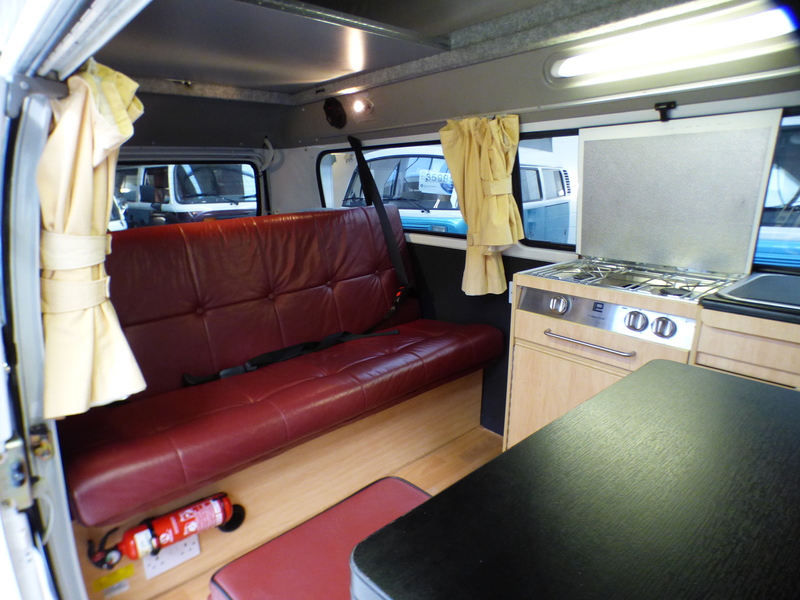 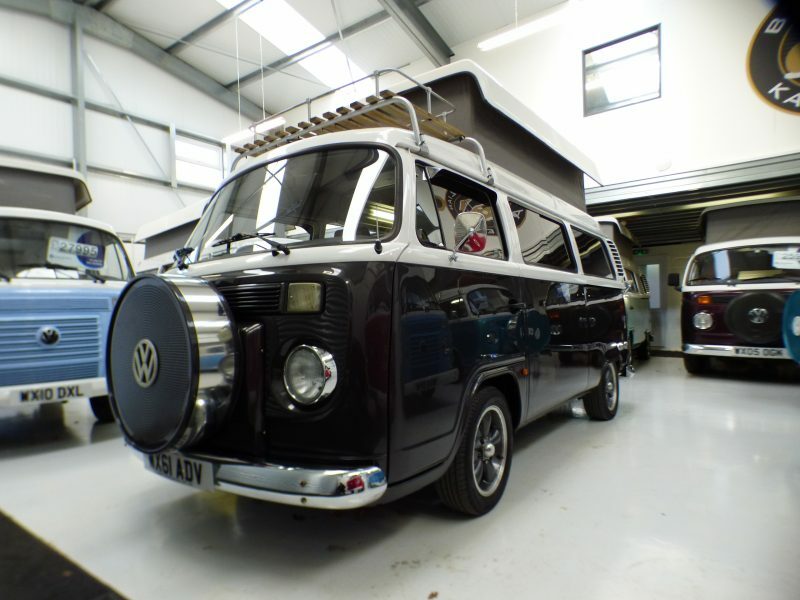 The RHD conversion on this camper has been upgraded to the Direct Drive Rack and Pinion system with Powered Steering – a £4000 option when new. 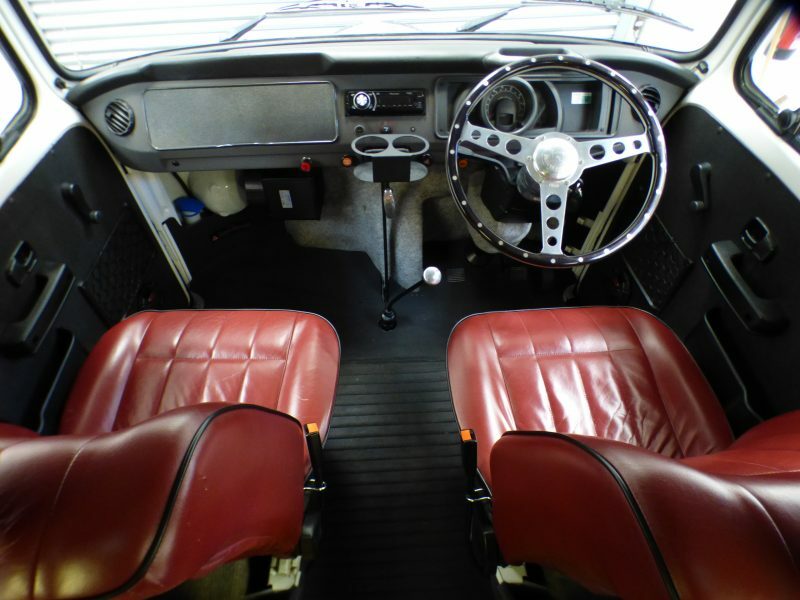 This gives the Kombi a more car-like feel at the steering wheel and ease of manoeuvrability at low speeds. 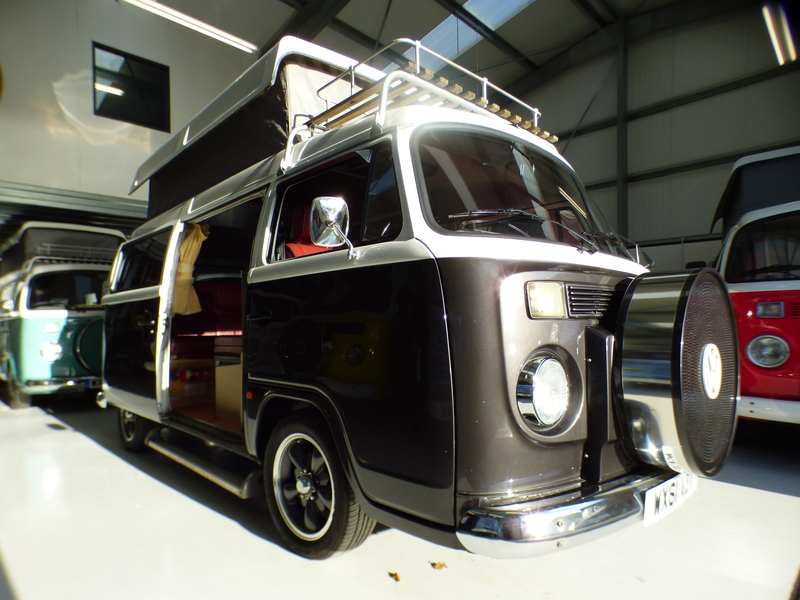 It sits on replica EMPI style graphite alloys and lowered suspension for a sportier look and drive. 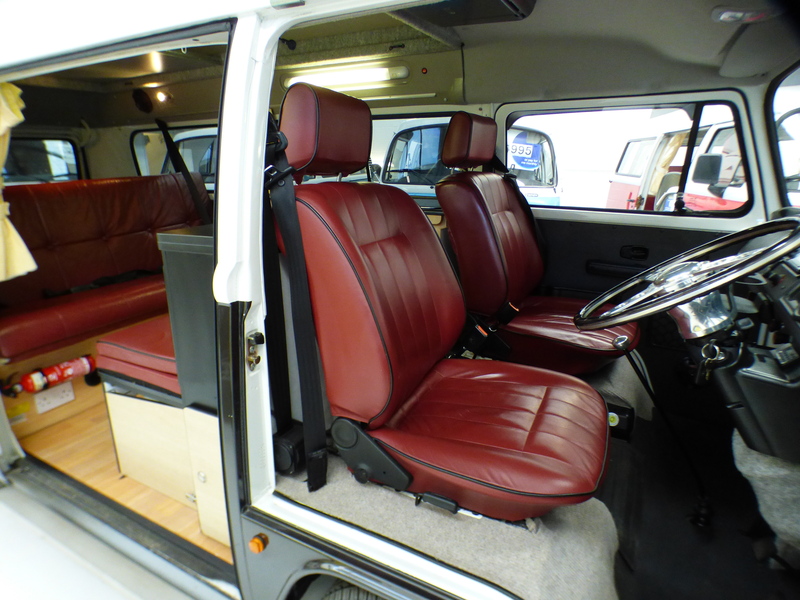 This SE model features a cab roof rack, aluminium side step, dummy front spare cover for the Classic look, chrome pack (bumpers, headlamp rings, mirrors) spare wheel carrier on the rear with colour coded cover, buddy box, contrasting red leather interior piped in black, dash mounted cup holders, billet gear knob, wooden steering wheel, and a drop down DVD player behind the front seats for keeping the family entertained. 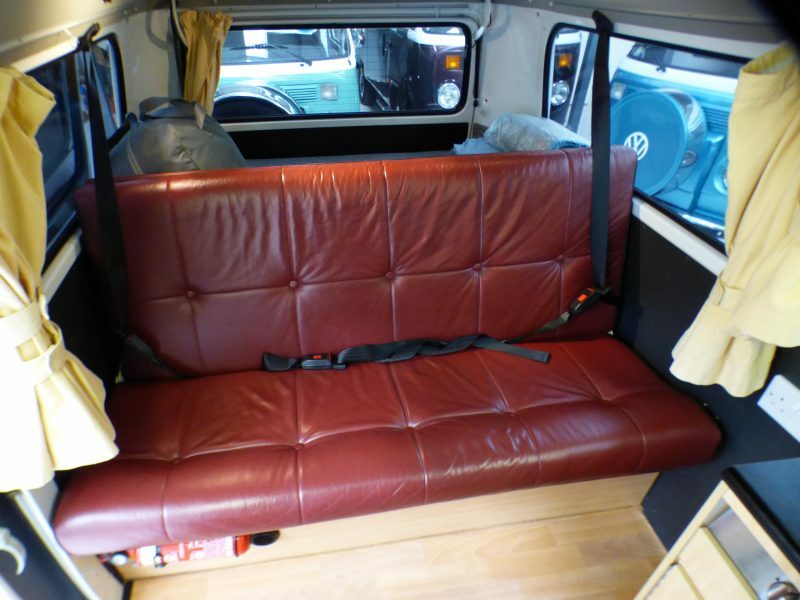 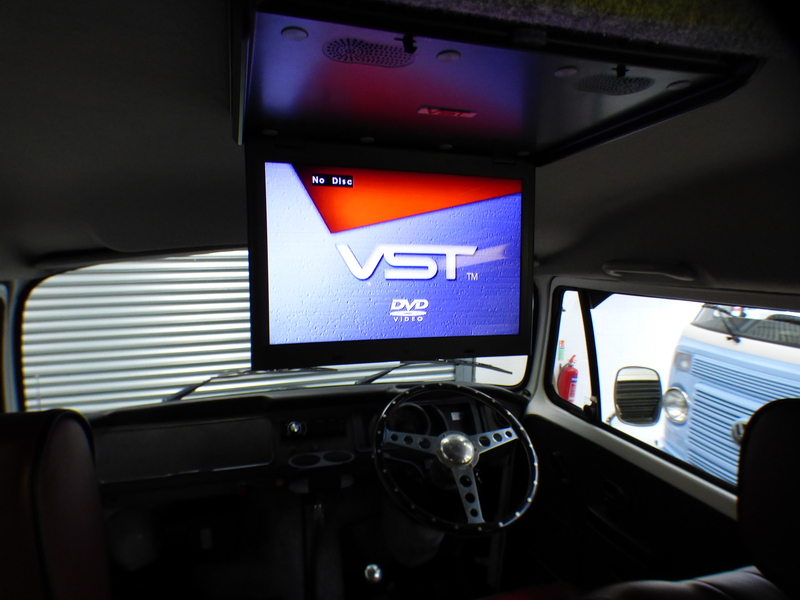 This Kombi carries 5 comfortably, 4 with 3 point seatbelts and 1 lap belt in the centre of the rear seat. 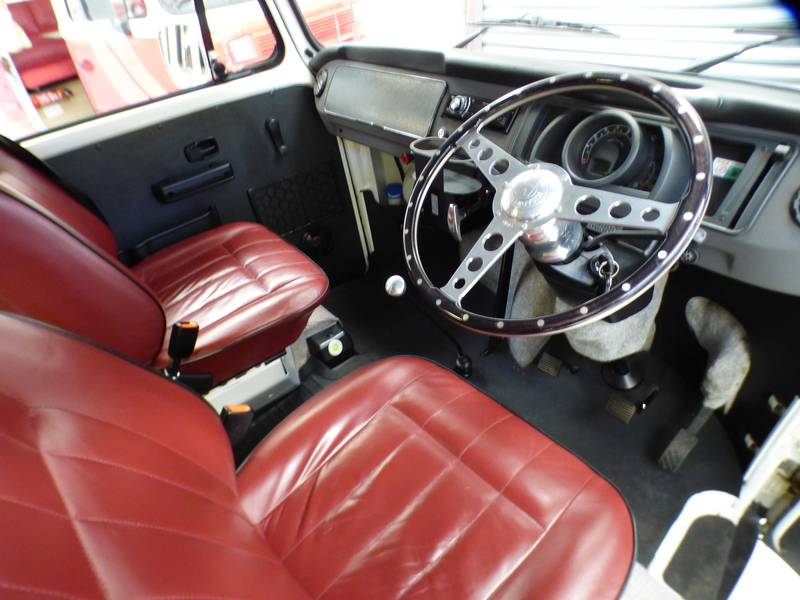 We can install another 3 point seat belt if required. 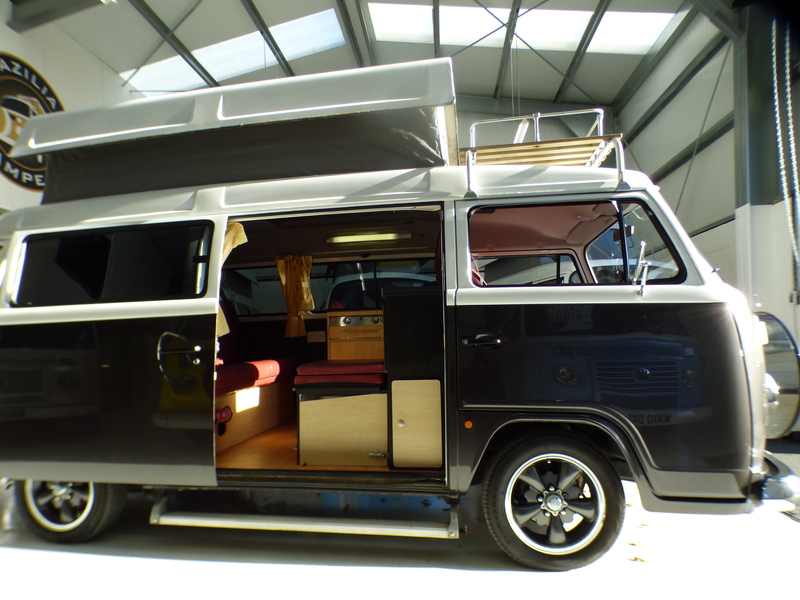 Raising the pop-top turns it into a 4 berth camper – 2 up, 2 down. 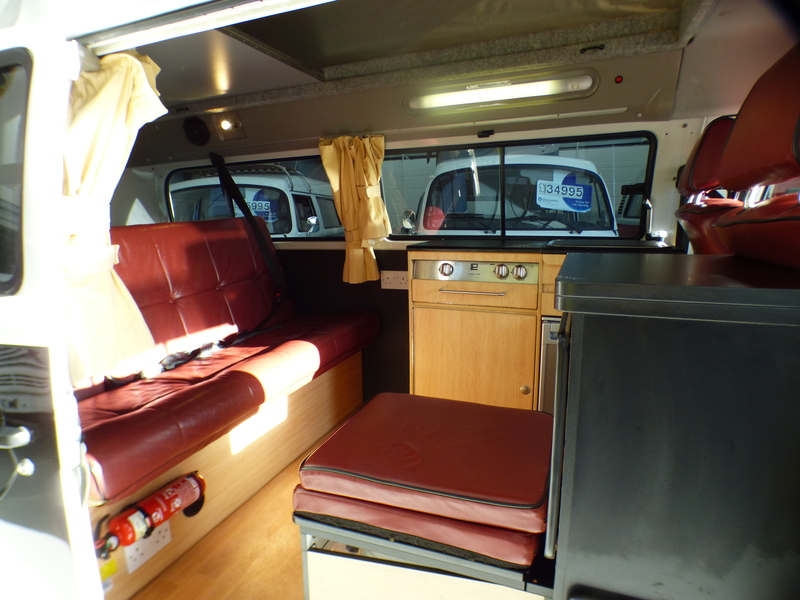 The buddy box enables all 5 to sit within the cabin around the included table. 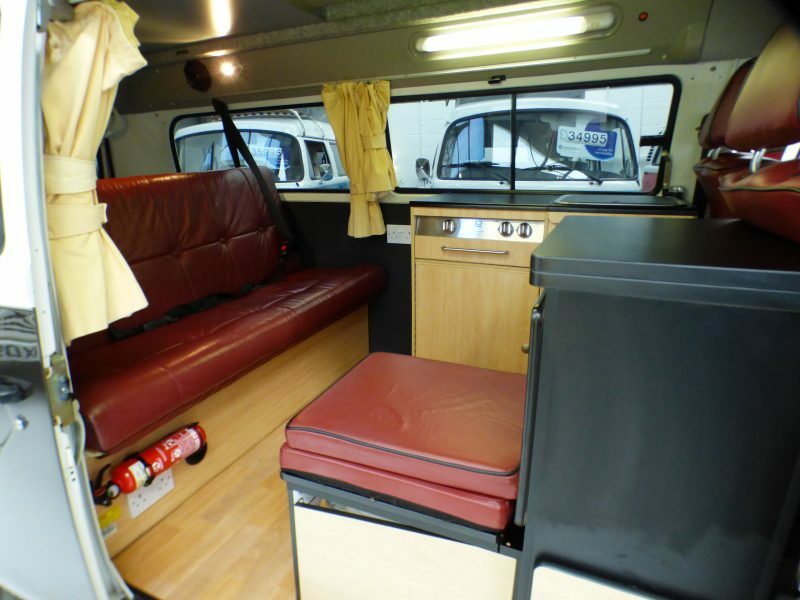 The camper has the best interior storage options for a Diamond: within the buddy box, the extra B-unit behind the offside front seat, nearside double unit, door nets up front and space under the folding full width bed. 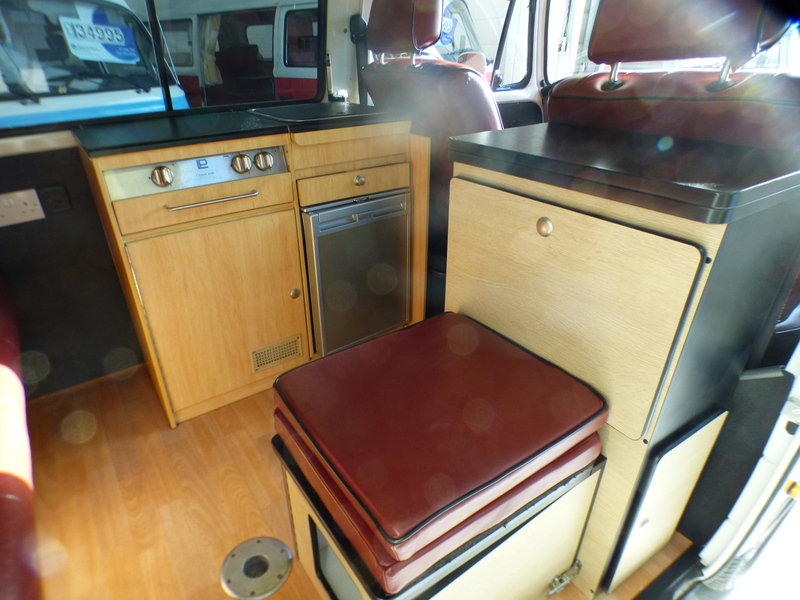 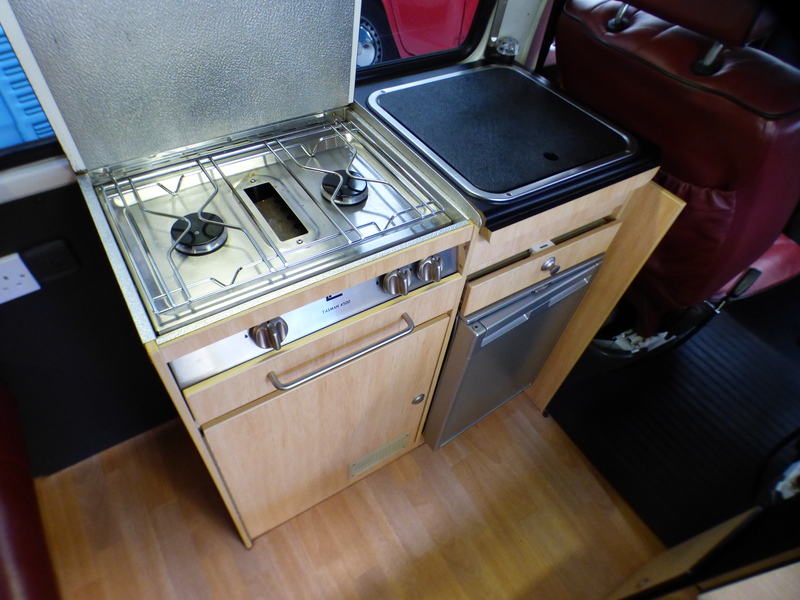 42 litre 12v/240v compressor fridge, sink with electric tap and custom chopping board, twin hob gas cooker with grill, low power strip lights and rear spotlights in the cabin.